If you don't have an EMF meter yet, I recommend the CORNET ED88TPLUS or if you prefer the ENV RD-10 as a first All In one EMF meter. Create a safe house, protect from incoming EMF (Mainly RF) radiation. For every RF protection need in your house and workplace, we will recommend the best protection to block the RF radiation from coming in. If the RF EMF is coming from the windows our RF Protection film or RF Blocking Curtains should be used. If the RF EMF is coming also from the walls, you can use the RF Reduction Wallpaper on the inside of the wall or RF Blocking paint on the outside of the wall. If the levels are high you can use 2 layers of paint and then wallpapers. If you need extra protection when sleeping the RF Blocking Canopies or the RF Blocking blanket/sleeping bad can be the way to go. Contact us with the problem or your needs and we will recommend a solution. If you are an EHS person and you feel bad when going outside (mainly headaches and brain fog when near cell towers or WIFI routers), I would recommend to try out RF Protection Hats and Clothes. 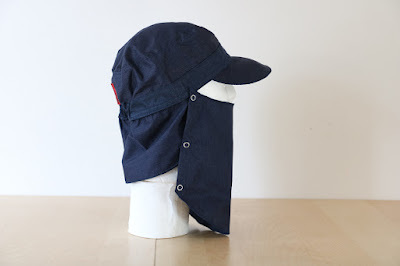 The first item should be a Hat or a cap lining/insert (starting at only US$15). Once you see it helps you and allow you to spend more time, with fewer symptoms and shorter recovery time, in place with environment RF radiation, I would suggest trying also the Jackets and other clothes we have in stock ( remember, our recommendation is to try out one of our hats or lining/inserts first and then try one of the Jackets). As an EHS person, I use the Hats all day long, and the Jackets whenever I go out to the city or drive my car (which is also protected). "For EHS By EHS" site was created in order to offer and deliver products to EHS (Electromagnetic Hyper Sensitive) people and for people who wish to reduce their exposure to EMF/EMR (Electromagnetic Fields / Electromagnetic Radiation). We will make our best effort to provide EHS people with ways and means to improve their lives and to minimize their exposure to EMR. "For EHS By EHS" site's goal is to make the search and purchase process easier and allow EHS people to find the right products without the hassle of searching many sites and stores. "For EHS By EHS" main products are RF(Radio Frequency) blocking fabrics, Hats from RF blocking fabrics and clothes from RF blocking fabrics. "For EHS By EHS" site also includes EMF/EMR (Electromagnetic Fields / Electromagnetic Radiation) Measuring and Home Shielding products.